The Richardson Bike Mart mobile repair van is a new service offered by the venerable bike shop starting in 2016. They have been a fixture in the biking community since the 1960s in the Dallas area. They have grown steadily over the years. As part of their growth, the Richardson Bike Mart has supported the Hotter than Hell Hundred for years and supports other local biking events. 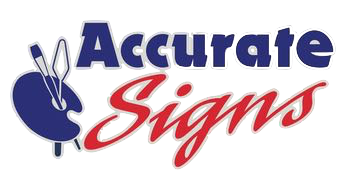 Accurate Signs has worked with them on a number of projects. Recently they came to us to help them with their mobile repair van. They take it to local and regional biking events to promote their business and support the participants. Also, you can set up an appointment for the van to come to your location. Here is the link to make an appointment. The van was not new and the original paint on the van is black. So we tried several options with a patterned background that completely covered the van. But the Richardson Bike Mart decided to cover the van with a solid blue vinyl instead of a pattern. Then we added the cut vinyl designs on top of that. This design made for a very clean and easy to read wrap. The van looks as if it is painted blue because all sides are completely covered. Bike Mart wanted to wrap the van to emphasize that they are available to take care of your biking needs any where needed. As they say, “We love bikes! We race bikes, we ride bikes, we repair bikes, and we support bikes.” They want to make cycling better for people in the Dallas area. The van is an extension of what they do in the stores. But we are not just marketing partners of the Bike Mart we are fans, too. Frank Block, who founded Accurate Signs, has long been a cyclist and has shopped at Richardson Bike Mart for 20 years. Doug Barton, who works at Accurate signs, bought three bicycles five years ago for the entire family for Christmas. There is nothing like a new bicycle sitting next to the Christmas tree to excite the kid in all of us.